Growing up in Norfolk and attending a school where being into music made you an outsider, Nathan Fake’s early interest in the electronic scene came from hearing acts like Aphex Twin and Orbital. Having begun to acquire and experiment with his own gear, an encounter with James Holden in 2003 led him to align with the then fledgling label Border Community, releasing his first material, the “Outhouse” single, that same year. 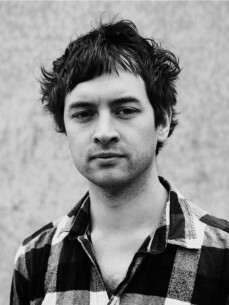 The relationship with Holden’s label continued with further EP releases - “The Sky Was Pink” and “Silent Night” - leading to his breakthrough debut album “Drowning In A Sea Of Love”, released in 2006 to widespread praise from the likes of Pitchfork and the Guardian, and hailed as one of Mixmag’s top albums of that year. Fake recorded two further albums for the label - 2009’s “Hard Islands” and “Steam Days” in 2012 - before establishing his own label Cambria Instruments in 2014 alongside former Border Community associate Wesley Matsel. Their collaborative single "Black Drift / Bismuth” was followed by Fake's solo effort “Glaive” EP in 2015. In September 2016 Nathan announced his signing to Ninja Tune with "DEGREELESSNESS / Now We Know” 12”, featuring NYC’s Prurient aka Vatican Shadow (Hospital Productions). This is the first music to be released from his forthcoming album for Ninja Tune, set for release in 2017.